He is the ocean of sciences and gnoses, the teacher of every gnostic and enraptured one [majdhub], the godly qutb and lordly colossus, our master Abu’l-‘Abbas Ahmad b. Ahmad b. Muhammad b. ‘isa al-Burnusi al-Fasi, known as Zarruq . He — may Allah have mercy on him — was a scholar who applied his knowledge, an ascetic who was scrupulous in matters of the din. He authored many books, whose exact number cannot be ascertained. They include an exegesis of the Mighty Qur’an, and a commentary on the Risala of Ibn Abu Zayd al-Qayrawani. He also penned three commentaries on the scholarly text Al-Qurtubiyya, thirty commentaries on Al-Hikam ´Ata’iyya, an elucidation of Allah’s Most Beautiful Names, and a commentary on Dala’il al-Khayrat. Other works of his also include Al-Nasa’ih al-Kafiya, Qawa’id al-Sufiyya (also known as Qawa’id al-Tasawwuf), and Al-´Aqa’id al-Khams. He authored other writings on Sufism, and quite a number of precious tracts and epistles. He lived until the age of sixty three. Biographers have ascribed to him a work of autobiography, covering his life from birth to death, wherein he was wont to jot down things in the latter part of every day. He was born on Thursday, 12 Muharram AH 846. His maternal grandmother took care of his upbringing. She was one of Allah’s Friends and a woman of righteousness and purity. When he reached four years of age, she had had him memorize the Qur’an. She thus brought him up through precept and the inculcation of perfection, until he grew up fond of worship and consistently recitating litanies. At this point, he commenced seeking knowledge of the outward sciences, the pursuit of which occupied him until people pointed to him as an authority. He came to then teach these sciences, engage in circles of learning to admonish people, and deliver lessons. As a result, he became famous and scholars were drawn to him, basking in his pesence, and taking from his sciences and gnoses. After all this, Sufism became endeared to him, and he joined the path of the Sufis at the hand of the guide in spiritual wayfaring, our master ‘Abdullah al-Makki. From him he took the spiritual way, serving him continuously for some time. While in his service, it so happened that one day when visiting his guide [‘Abdullah al-Makki] during the latter’s solitary retreat, he beheld two women of beautiful form in his guide’s company, one on his right and the other on his left. The wide appeared to turn now to this one and then to that one. After this incident, our master Zarruq left the city of Fez and set out for Cairo, where he met up with our liege and master, Abu’l-‘Abbas al-Hadrami. He took the path from him and received instruction in devotional recitations [awrad] from him. At his hand, a mighty spiritual illumination was bestowed upon him, so he too became a guide of spiritual instruction. He became affiliated to Abu’l-‘Abbas al-Hadrami and cleaved to his company. He was the only guide on whom he exclusively relied for journeying across the path. When Egyptian scholars and pious men heard about his arrival, they paid visits to him in delegations, kept his company and attended his lessons. He took up a lecturing post at the noble institute of al-Azhar, his classes there being attended by approximately six thousand people from Cairo and the surrounding areas of Egypt. He performed the functions of imam of the Malikiyya, becoming the main teacher of the portico allocated to their school in al-Azhar. They set up a tall chair for him, resting on firm pillars and with a strikingly original and well-constructed shape. He would seat on it, deliver his lectures and enrich the attendees by his knowledge. Both free men and slaves benefited from his presence. This chair still exists until the present time by the portico of the Moroccan masters in the noble institute of al-Azhar. He exercised tremendous influence and authority over the Emirs of Egypt, while all Egyptians, the elite and commonality alike, accepted him. He was a man endowed with a mighty spiritual state, radiance, beauty and bravery. Allah Most High acquainted him with hidden realities, so he spoke in languages other than Arabic, no two people disagreeing about this fact, and no conflicting statements on this having issued forth from any two individuals. He possessed the greatest capacity of disposal in matters, and was the brightest succour of men. Saintly miracles emanated from him, and he was gifted veracious states. Among his miracles is when he passed an Arab tribe of Tripoli, consisting of brigands and highway robbers, no caravan passing by them but that they would plunder it. They looted him and his companions, forcing them to cover their private parts with their hands (as everything had been seized and pilloried from them). A disciple looked at our master and found him in an unchanged state, and said to one of the bedouins who had plundered the group: ‘Look at that teacher, he has some gold in his trousers.’ The bedouin thus came up to our master and instructed him to remove his trousers, whereupon the shaykh replied: ‘Glory be to Allah! It is forbidden for us to lay bare our private parts.’ The bedouin repeated the order a second time, saying, ‘Take it off, or else I shall kill you!’ Our master admonished him, saying, ‘It is prohibited for us to expose our private parts.’ The bedouin advanced towards our master, who instructed the earth, saying ‘Swallow them!’ The earth seized all of the bedouins, so they began humbly imploring our master, saying, ‘We have turned (in repentance) to Allah.’ Our master then told the earth, ‘Release them, earth’, and it set them free from its clasp, whereupon they came out of it and proclaimed their repentance in unison. Thereafter, they kept our master’s company, all of them without exception, and became servants of the Zarruqiyya Zawiya. 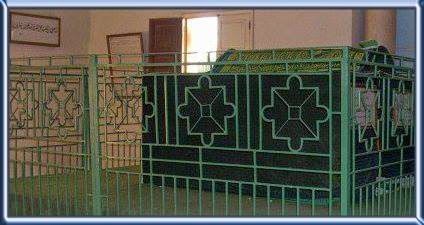 To this day, their descendants serve the zawiya, and they are called “the servants of the Zarruqiyya Zawiya”. Perchance I’ll see my heart’s Beloved with my eye. Whenever oppressive times by my own force pounce down. Call out, ‘0 Zarruq! ‘ I’ll be there in a moment. And how many a sorrow is removed by instants of my company. He passed away — may Allah be pleased with him and benefit [us] through him — in AH 899 and was buried in Misurata, near Tripoli in Libya. A large mosque has been built over his remains, in which the Islamic rites are established, together with a shrine and mausoleum visited by people: no one directs himself to Allah there through him but that he attains what he hopes for. O Allah, we direct ourselves to You through him so that You might be for us a Helper and a Supporter, and so that You might raise us in the company of Your Friends, succesfully convoy us to service fort hem, and cause us to die with love fort hem until we meet Y7u, O Lord of the worlds! See his biography in al-A’lam (1/91), Ibn Jadhwat al-Igtibas li Dhikr Man Halla min al-A’lam Madina Fas (p. 60), Ibn al-‘Imad’s Shadharat al-Dhahab (7/363), where he is named as Ismail b. Muhammad al-Burlusi, Mu’jam al-Matbu’at (p. 965), al-Khazanat al-Taymuriyya (3/121), Dar al-Kutub (1/269, 317, 376) and Tabaqat al-Shadhiliyyat al-Kubra by Muhyi al-Din al-Tu`mi (p. 136). Muhammad b. Qasim al-Kuhin(2016), Tabaqat Al-Shadhiliyyah Al-Kubra Biographies of Prominent Shadhilis, Visions of Reality Books. 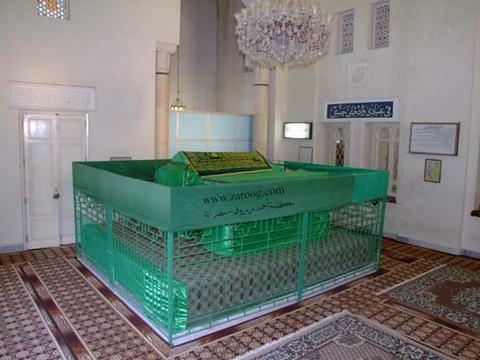 Hans fullständiga namn Abû al-‘Abbâs Ahmad ibn Ahmad ibn Muhammad ibn ‘Isâ al-Barnûsî al-Fâsî, känd som al-Zarrûq. Han föddes 846 H. i Fas, och uppfostrades av sin mormor, som var en from och helig kvinna. Vid fyra års ålder började hon lära honom Koranen, och under hennes omvårdnad växte han upp med kärlek till ‘ibâda och regelbunden dhikr. Han studerade de religiösa vetenskaperna, tills han fick kallelsen att börja predika. Hans lektioner vann snabbt spridning, och både lärda och vanligt folk kom för att lyssna. 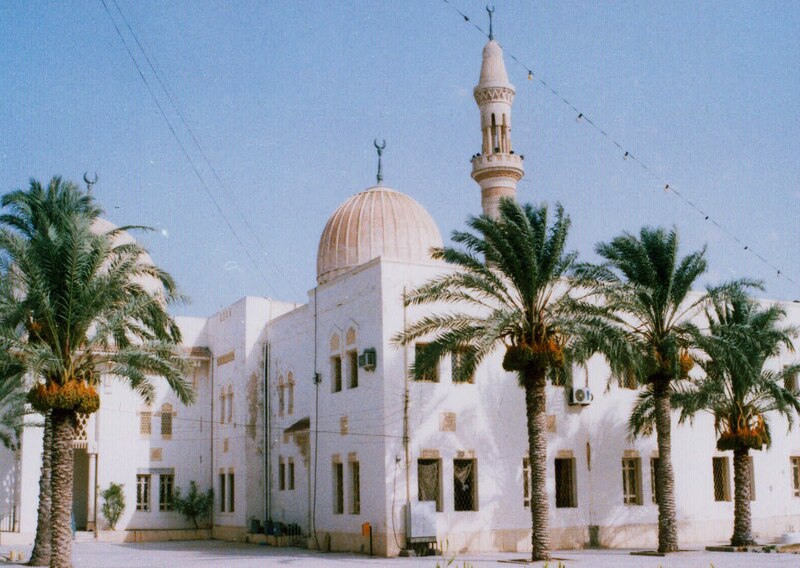 Hans första Sheikh i tasawwuf var Sheikh ‘Abd Allah al-Makki. En dag kom han in till honom i hans khalwa (privata bönerum) och fick syn på två vackra kvinnor som satt på varderaa sidan av Sheikhen, medan denne vände sig än till den ena och än till den andra. Imam al-Zarruq sade till sig själv: Den här mannen är en zindiq (gudlös person). Hans Sheikh vände sig då till honom och sade: Gå din väg, din jude! Han gick ut, gråtande över Sheikhens tilltal och bönföll Allah om förlåtelse. Sedan uppsökte han några vänner och bad dem göra förbön för honom inför Sheikhen. Sheikhen försonade sig med honom och omfamnade honom och kysste honom, men ställde som villkor att han måste lämna landet. Sedan sade han: O Zarruq, de två kvinnorna som du tyckte dig se i mitt sällskap var i själva verket denna världen (al-duniâ) och den nästkommande (al-âkhira). Denna världen ville att jag skulle ta emot henne, och den nästkommnade ville att jag skulle tillvända mig henne – men jag tog inte emot någon av dem. Därefter lämnade Imam Zarruq Fas och reste till Egypten, där han mötte Sheikh Abu al-‘Abbas al-Hadrami, som blev hans slutgiltiga läromästare. Från honom antog han Shadhili-tariqan och lärde sig dess awrâd, och under honom nådde han stora andliga höjder. Han blev snart känd bland de egyptiska lärda, som började närvara vid hans lektioner och följa hans vägledning. Han blev mufti för Maliki-skolan, och fick stort inflytande bland landets ledare. Han undervisade vid Azhar-universitet, med ca. sextusen åhörare från Cairo och hela Egypten, och där byggdes en upphöjd stol som han kunde undervisa från (denna stol finns bevarad än idag). Sedan reste han till Tripoli, där han spred Shadhili-tariqan och vägledde många murider. Många av landets ledare, som ägnade sig åt religiös kunskap, hade stor aktning för honom. Han dog i Tripoli år 899 H. En stor moské har upprättats i ansutning till hans begravningsplats. – al-Nasâ’ih, Qawâ‘id al-Tasawwuf, Al-‘Aqâ’id al-Khams m.m. بحر العلوم والمعارف، أستاذ كل مجذوب وعارف، القطب الرباني، والهيكل الصمداني أبو العباس مولانا أحمد بن أحمد بن محمد بن عيسى البرنوسي الفاسي المعروف بزرُّوق. 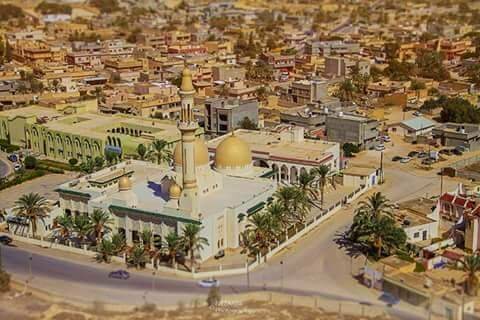 كان رحمه الله عالمًا عاملًا، زاهدًا ورعًا، له تآليف عديدة لا تكاد تنحصر؛ منها تفسيره للقرآن العظيم، وشرحه على «رسالة ابن أبي زيد القيرواني»، وله ثلاثة شروح على متن «القرطبية»، وستة وثلاثون شرحًا على «الحكم العطائية»، وشرح على أسماء الله الحسنى، وشرحٌ على «دلائل الخيرات»، وله كتاب «النصائح»، وكتاب «قواعد الصوفية»، و«العقائد الخمس»، وله تآليف عديدة في التصوف، ورسائل، وعدة مؤلفات نفيسة. عاش من العمر ثلاثًا وستين سنة، حسبوا له من يوم ولادته إلى يوم وفاته كرَّاسًا في النصف في كل يوم. ولد رحمه الله يوم الخميس اثني عشرة محرم عام ثمان مئة وستة وأربعين، وتولى تربيته جدته لأمِّه، وكانت من الأولياء، ومن الصالحات الطاهرات، فلما تم عمره أربع سنوات حفظته القرآن، وصارت تربيه بالدلال والكمال، حتى نشأ محبًّا للعبادة، ملازمًا للأذكار. فأخذ رحمه الله في تلقي العلوم الظاهرية، واستمر في طلبها حتى أُشير إليه، وتكلم، وجلس للوعظ، وتحضير الدروس، فاشتهر أمره، وقصدته العلماء، ونزلت بساحته، واقتبست من علومه ومعارفه، ثم حُبِّبَ إليه التصوف، فانتظم في طريق القوم على يد المسلك مولانا عبد الله المكي، فأخذ عنه الطريقة، ولازم خدمته زمانًا. واتفق له أنه دخل على شيخه في خلوته يومًا فرأى عنده امرأتين جميلتي الصورة، إحداهما عن يمينه، والأخرى عن يساره، وهو يلتفتُ إلى هذه تارةً، وإلى هذه تارةً، فقال مولانا زروق في نفسه: إن هذا لزنديق(). فقال له الأستاذ: اذهب يا يهودي. فخرج من عنده، فكأنه ألقى عليه سمة اليهود، فصار يبكي، ويتضرع إلى الله تعالى، ومشى إلى بعض أحبابه، فسأله أن يمشي معه إلى الأستاذ، ويستعطفه، فمشى معه إلى الأستاذ، فاستعطفه، فعطفَ عليه وقبله، وقال له: بشرط ألا يجلسَ معنا في بلادٍ أنا فيها، ثم التفت إليه وقال له: يا زروق المرأتان اللتان تشبهتا عليك فهي الدنيا والآخرة، فالدنيا تُريد إقبالي عليها، والآخرة تريد إقبالي عليها، وأنا لا ألتفت إلى قولهما. فبعد ذلك خرج مولانا زروق من مدينة فاس، وقدمَ إلى مصر، وتلاقى مع مولانا سيدنا أبي العباس الحضرمي رضى الله عنه، وأخذ عنه الطريق، وتلقّن الأوراد، وفُتح له على يديه، وصار شيخه في التربية، وانتسب إليه، ولازمه، وهو شيخه الذي لا معول له في الطريق إلا إليه. ولما سمعت بقدومه العلماء والفضلاء من أهل مصر وفدوا عليه، وتمثلوا بين يديه وحضروا دروسه، وصار يدرس في الجامع الأزهر الشريف، وكان يحضر درسه زهاء ستة آلاف نفس من مصر والقاهرة وأحوازها. وتولى إمامة المالكية، وصار أستاذ رواقهم، ونصبوا له كرسيًّا عالي الأركان، بديع الإتقان، صار يجلس عليه، ويملي الدروس ويفيد، فانتفعت على يديه الأحرار والعبيد، وهذا الكرسي موجود إلى وقتنا هذا برواق السادة المغاربة بالأزهر الشريف. وكانت له صولةٌ ودولة عند أمراء المصريين، وله عندهم القبول التام عند الخاص منهم والعام. ثم توجه إلى طرابلس الغرب فأحيا بها معالم الطريق، وأوضح بيان التحقيق، وأشهر بها الطريقة الشاذلية، ونشر أعلامها السنية، فانقادت إليه المريدون، وهابته ملوك العالمين، واجتمع بسيد المرسلين، ونُسبت إليه الطريقة لما ظهرت عليه أنوار أهل الحقيقة، وأمر بلسان الحال أن يقول في ميدان الرجال ماسكًا بلحيته: لا شيخ بعد هذه اللحية. كان رضى الله عنه صاحب حال، وبهاء وجمال ودلال، أطلعه الله على المغيبات، فنطق بسائر اللغات، لم يختلف فيه اثنان، ولا تقوّل فيه قولان، فهو صاحبُ التصريف الأكبر، وغوثُ الأنام الأزهر. وله كرامات خارقة، وأحوال صادقة، فمن كراماته رضى الله عنه: أن قبيلة من قبائل عرب طرابلس كانوا قطاع طريق، لا تمر بهم قافلة إلا نهبوها، فمر عليهم مولانا رضى الله عنه، فنهبوه هو وتلامذته، حتى تركوهم مستوري العورة، فنظر بعض المريدين إلى مولانا، فوجده لم يتغير، فقال لبعض العربان الذين نهبوا مولانا، انظروا إلى ذلك الأستاذ عنده ذهبٌ في سرواله()، فجاء البدوي إلى مولانا وقال: انزع السروال. فقال: سبحان الله، العورةُ يحرمُ علينا كشفها. فقال له مرة ثانية: انزعه، وإلا قتلتك، ومولانا يعظُه بقوله: العورة حرام علينا كشفها. فتقدَّم البدوي إلى مولانا، فقال مولانا للأرض: ابلعيهم يا أرض. فأخذتهم الأرض جميعًا، فصاروا يتضرَّعون إلى مولانا، ويقولون: تبنا إلى الله، فقال مولانا للأرض: أطلقيهم يا أرض. فأطلقتهم. فخرجوا منها، وتابوا جميعًا، وصاروا مع مولانا، لم يتخلف منهم أحد، وصاروا خدام الزاوية الزروقية وإلى الآن باقي من نسلهم يخدمون هذه الزاوية ويقال لهم خدَّام الزاوية الزروقية. توفي رضي الله عنه ونفع به عام ثمان مئة وتسعة وتسعين، ودفن بسملاطة من طرابلس الغرب، وله مسجد كبير، تقام فيه الشعائر، ومقامٌ وضريح يزار، وما توسَّل به متوسل إلى الله إلا ونال ما يرتجيه. اللهم، إنا نتوسل به إليك في أن تكون لنا ولإخواننا مُعينًا وناصرًا، واحشرنا في زمرة الأولياء، ووفقنا لخدمتهم، وأمتنا على حبهم حتى نلقاك يا ربَّ العالمين. () أحمد بن أحمد بن محمد بن عيسى البرنسي الفاسي، أبو العباس، زروق، فقيه محدث صوفي. من أهل فاس، تفقه في بلده وقرأ بمصر. ولد سنة 846 هـ وتوفي في تكرين سنة 899 هـ. غلب عليه التصوف فتجرد وساح، له تصانيف كثيرة منها: «الاختصار مع التحرير» و«شرح مختصر الخليل»، و«إعانة المتوجه» في التصوف وغير ذلك. [«الأعلام» (1/91)]. () الزنديق: من يبطن الكفر ويخفيه ويظهر الإيمان. () السروال: لباس يغطي السرة والركبتين وما بينهما أو البنطال. هو أحمد بن أحمد بن محمد بن عيسى البرنوسي الفاسي الشهير بزروق، العالم الفقيه المحدث الصوفي المتضلع المتبحر الولي الصالح العارف بالله، بحر العلوم والمعارف القطب الرباني والهيكل الصمداني ذو التصانيف العديدة والمناقب الحميدة. ولد رحمه الله ورضي عنه ثامن وعشرين المحرم عام 846وتولى تربيته جدته بعد وفاة والده فتربى في حجرها وكانت تدعى أم البنين وكانت فقيهة فكفلته وأدخلته المكتب فحفظ القرآن وهو ابن عشر سنين وقيل ابن أربع سنين وصارت تربيته بالدلال والكمال حتى نشأ محباً للعبادة ملازماً للأذكار. لما اشتد عود الشيخ اشتغل بالخرازة ثم تركها واشتغل بالعلم بإرشاد بعض الأكابر وقرأ العلوم على عدد من علماء عصره ، فقد قرأ بحرف نافع على الإمام القوري والزرهوتي والمجاصي وغيرهم وقرأ على الشيخ عبد الله الفخار والشيخ علي السبط وعبد الرحمن الثعالبي وإبراهيم التازي والسنوسي صاحب العقيدة وآخرين وقرأ البخاري على القوري وتفقه عليه حتى صار منارة في العلم فقصده العلماء من أكابر أهل عصره كالقسطلاني والقطب الشعراني والعارف بالله ابن الحسن البكري وكان معاصراً للحافظ السيوطي ولا يدرى هل التقى به أم لا ولما هاجر إلى مصر وفد إليه العلماء حتى صار يحضر درسه بالأزهر زهاء ستة آلاف نفس . ولما حبب لسيدي زروق رضي الله عنه التصوف إنتظم على يد المسلك مولانا عبد الله المكي فلازمه وخدمه زماناً ، ثم سلك على يدي العارف أبي عبد الله سيدي محمد الزيتوني ، ثم هاجر من مدينة فاس ودخل مصر وهناك تم له اللقاء مع غوث زمانه ومرشده الذي ينتسب إليه إن انتسب إنه العارف بالله سيدي أحمد بن عقبة الحضرمي وهو شيخه الذي لا معول له في الطريق إلا إليه. وكان الشيخ الحضرمي رضي الله عنه قد بشر بقدومه أصحابه قبل مجيئه فقال لهم : قوموا تلتقوا أخاكم. ولما اتصل بالشيخ الحضرمي ضربه شيخه السابق الزيتوني من فاس ضربة وسلمه الله بواسطة سيدي الحضرمي الذي تلقى تلك الضربة حتى تكسرت يده وأراها لسيدي زروق رضي الله عنه مكسورة وقال له : الحمد لله الذي عصمك الله منه يا أحمد هذه آخر عقوبة الزيتوني ولقد ضربك ضربةً فدفعتها عنك . لازم الشيخ الزروق سيدي الحضرمي حتى أخر عمره ثم توجه إلى طرابلس الغرب فأحيا بها معالم الطريق وأوضح بيان التحقيق وأشهر بها الطريقة الشاذلية ونشر أعلامها السنية فانقاد إليه المريدون وهابته ملوك العالمين واجتمع سيد المرسلين ونسبت إليه الطريقة حتى سميت (بالزروقية)وأمر بلسان الحال أن يقول في ميدان الرجال ماسكاً بلحيته : لا شيخ بعد هذه اللحية. وكان رضي الله عنه صاحب حال وبهاء وجمال ودلال أطلعه الله على المغيبات ونطق بسائر اللغات لم يختلف فيه إثنان ولا تقول فيه قولان فهو صاحب التعريف الأكبر وغوث الأنام الأزهر. وهذه القصيدة تدل على أنه كان على قِدَمٍ عظيم في التمكين والتصريف وهي تدل على أنه كان من أكابر أهل الدوائر وقد نقل عن شيخه الأول الزيتوني أنه قال فيه: إنه رأس السبعة الأبدال نفعنا الله به. 1- تفسير القرآن العظيم . 2- شرح رسالة أبي زيد القيرواني . 3- ثلاثة شروح على متن القرطبية . 4- ستة وثلاثون شرحاً على الحكم العطائية . 5- شرح على أسماء الله الحسنى . 6- شرح على دلائل الخيرات . وله تآليف عديدة ورسائل نفيسة . أن قبيلة من قبائل عرب طرابلس كانوا قطاع طريق لا تمرُّ بهم قافلة إلا نهبوها فمر بهم مولانا فنهبوه هو وتلاميذه حتى تركوهم مستوري العورة فنظر بعضهم إلى مولانا فقال أنظروا إلى هذا الأستاذ عنده ذهب في سرواله فأمروه بنزع السروال فقال : سبحان الله العورة يحرم علينا كشفها فقال له ثانيةً والأستاذ ينصحُهُ ، فتقدم بعضهم إلى مولانا ، فقال للأرض ابلعيهم فأخذتهم الأرض جميعاً ، فصاروا يتضرعون إلى مولانا ويقولون تبنا إلى الله فقال للأرض أطلقيهم فتابوا جميعاً وصاروا مع مولانا ولم يتخلَّف منهم أحد وصاروا خدَّام الزاوية ، وإلى الأن من نسلهم من يخدم الزاوية ويقال لهم خدام الزاوية الزروقية . توفي رضي الله عنه ونفع به عام ثمانمئة وتسعة وتسعين عن عمرٍ يناهز الثالثة والستين ودفن بسملاطة في طرابلس الغرب وله مسجد كبير تقام فيه الشعائر ومقام وضريح يزار . 1- طبقات الشاذلية الكبرى ص144 الحسن بن كوهن الشاذلي المغربي . 3- طبقات الشاذلية الكبرى ص136 محيي الدين الطعيمي .